Colonel Landscaping is a full-service provider of innovative, effective residential and commercial lawn care services throughout Connecticut. At Colonel Landscaping, we don't just make your grass green. We develop a customized fertilization program that reverses yard damage, nourishes the soil, and creates a healthy, robust, thriving lawn from root to tip. Since 2004, Colonel Landscaping has helped Connecticut home and business owners love their lawns. Our most popular package, the Green Season Maintenance program, runs from April through November to optimize results. Colonel Landscaping's Green Season Maintenance runs from April through November. We work hard for you throughout Connecticut's growing season for sustainable property health and optimal final results. Typically, lawn fertilizers contain nitrogen, potassium and phosphorus. After analyzing your soil composition, the Colonel Landscaping team will identify exactly which ingredients best suit your lawn's needs. It's not just about pinpointing the right fertilizer components; it's also vital to mix the proper amounts of each ingredient based on the size of your property. Colonel Landscaping will measure the square footage of yard that warrants fertilization so we can create a precise mix. 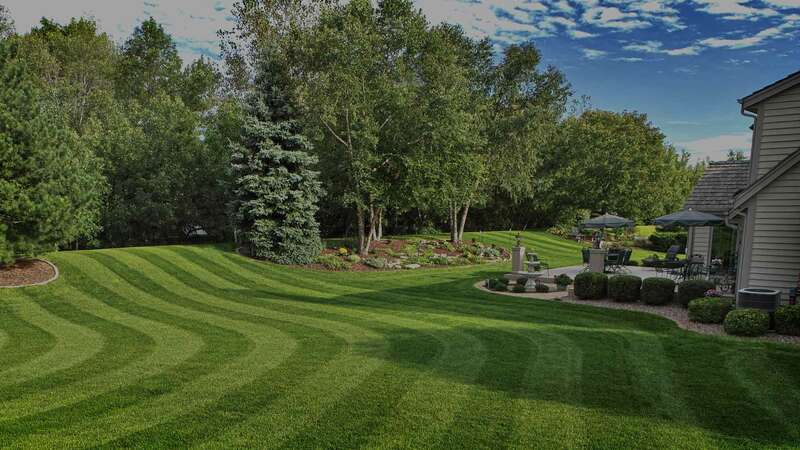 When it comes to lawn fertilization, timing really is everything. Once we've developed your yard's customized application, Colonel Landscaping will develop a schedule that considers vital factors such as nitrogen release rate, green up rate, overall growth and results to ensure our controlled-release products deliver steady, consistent results. At Colonel Landscaping, we want our clients to feel good about what they put on their lawns. We proudly offer our residential and commercial customers access to a diverse range of fertilizers so they can choose the right option for their property. Clients can opt for organic, traditional, and hybrid products as part of our 5-step maintenance treatment program. You select the fertilization model that works for you – and Colonel Landscaping does the rest! It's never too late to invest in your lawn – Colonel Landscaping's innovative fertilization program will make you glad you did! Contact us today to hear more.